The days are getting warmer where I live. I’m antsy to start planting, but the nighttime temperatures aren’t quite warm enough yet. In the meantime, I’ve been plotting out my garden on a graph using bio-intensive planting guidelines. I use bio-intensive gardening because (1) I have limited space, and (2) I’m a very lazy gardener, so I try to plant in a way that will make as little work for me as possible during the growing season. Bio-intensive gardening helps me achieve my goal of doing less for more, and companion planting fits in well with bio-intensive gardening. In fact, the fourth principle of bio-intensive gardening is companion planting. Principle No. 4 Goal: Focus on the whole garden to create a thriving mini-ecosystem with beneficial interrelationships. Companion planting strengthens the whole garden by crop and layout choices that support beneficial relationships between plants, insects, and the soil. I don’t have a large space to grow food. 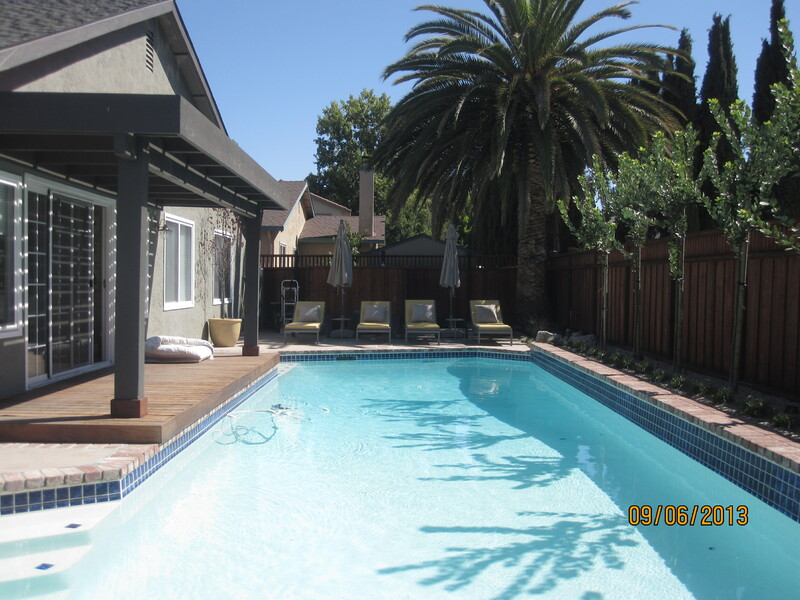 In fact, most of my back yard is taken up by a swimming pool, so I try to plant vegetables and fruit throughout the landscape of my yard. I have a regular Kiwi planted in the front of my house against a column leading up the front door, and four fruit/citrus trees espaliered against the street side of the fence line; I have a hardy kiwi ready to plant along a fence in my backyard by the fountain; my potatoes are growing nicely in a potato planting bag; and I have the artichokes planted off on their own among some landscape rocks; the strawberries are planted vertically-tiered next to the house, and the Egyptian walking onions will soon be planted underneath. 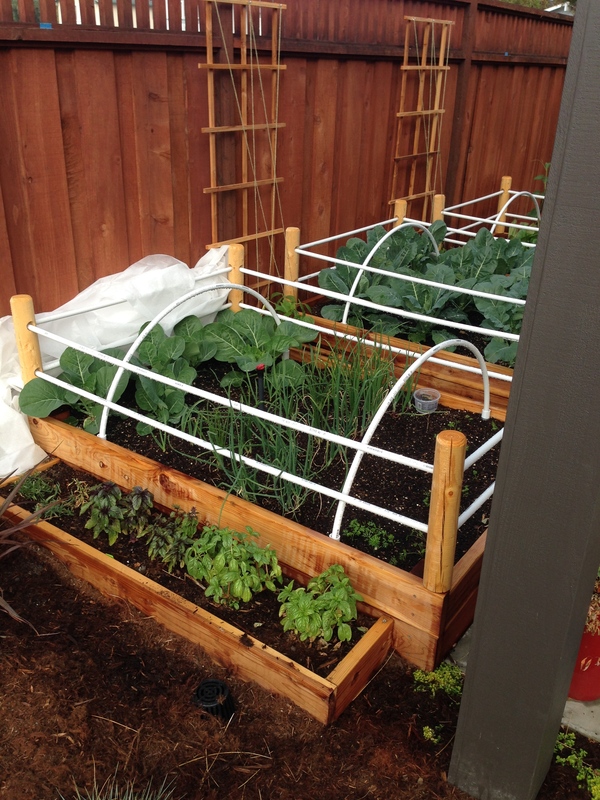 Last year, I put in three raised beds, each 6′ x 4′ x 12″, for a small dedicated vegetable garden. This is the reality of urban gardening – how to make the most of the space and how to fit it into a larger landscape design. When I planted a cool season garden using the bio-intensive method, I didn’t focus much on the companion plantings. It was a good harvest – broccoli, romenasco, cauliflower, romaine and lettuces, spinach, onions, and carrots – but it could have been better with a little more planning and inter-planting. The warm season garden will incorporate much more companion plantings into the mix. I’m going to keep it simple though (because, I am lazy, after all). 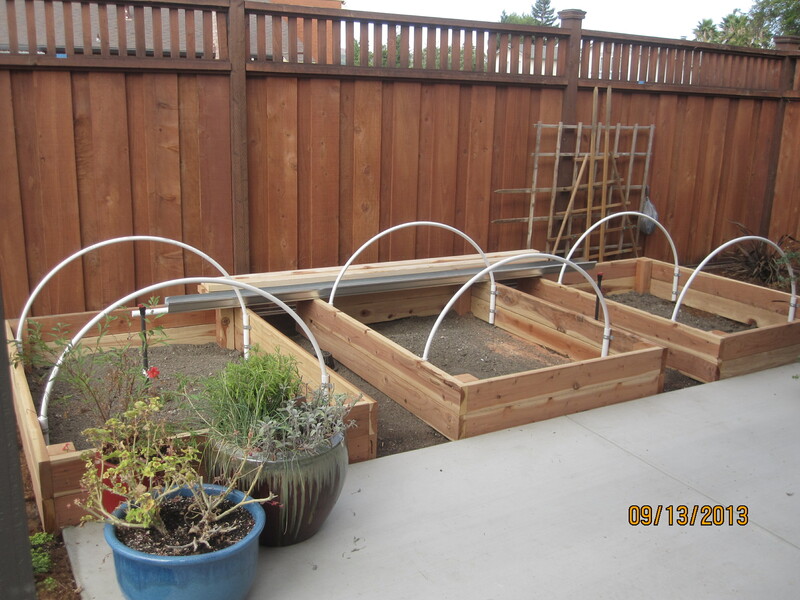 The first bed will hold tomatoes and basil, carrots and radishes, various lettuces/salad greens and, of course, marigolds, with various herbs and lavender planted close by outside of the raised bed. Next up, Beds Two and Three. . .